Located approximately 70 miles south of the U.S./Mexico border, Ensenada is the most vital port in Baja California and the only commercial port in the state, making it a gateway for foreign trade. 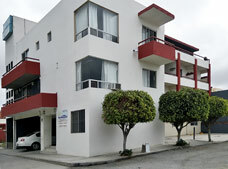 The city is also a popular tourist destination as it is the second most important cruise port in Mexico. Surrounded by mountain landscapes that accentuate its beauty, the city is the ideal place to admire the extraordinary colors of the Pacific coast sunsets. There are also several beaches where visitors can enjoy sports and ecotourism activities along with many hotels, golf courses, spas, bars and restaurants. The largest county in Mexico, Ensenada has large tracts of land and offers incredible biodiversity throughout its spectacular landscapes. Its Mediterranean latitude creates a temperate climate for most of the year, providing visitors with plenty of opportunities to enjoy adventure tourism, national parks and various ecotourism activities. The beaches that line the coast are known for being some of the most tranquil beaches in the northern Pacific and are perfect for diving and kayaking. The coast is also famous for hosting international sport fishing and surfing competitions along with regattas. With a quiet atmosphere and a fascinating cultural calendar that encompasses recreational activities and various food festivals throughout the year, this beautiful destination should definitely be explored and enjoyed.